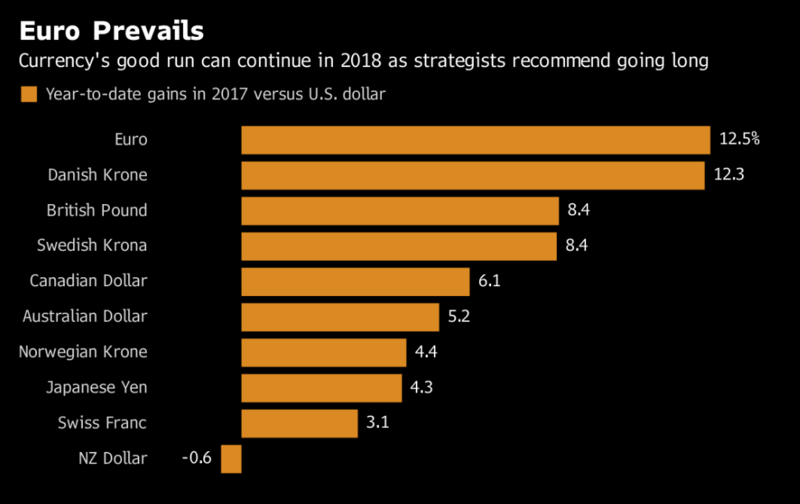 What was considered best avoided in European currencies and bonds a year ago is just what’s topping 2018’s hottest picks. 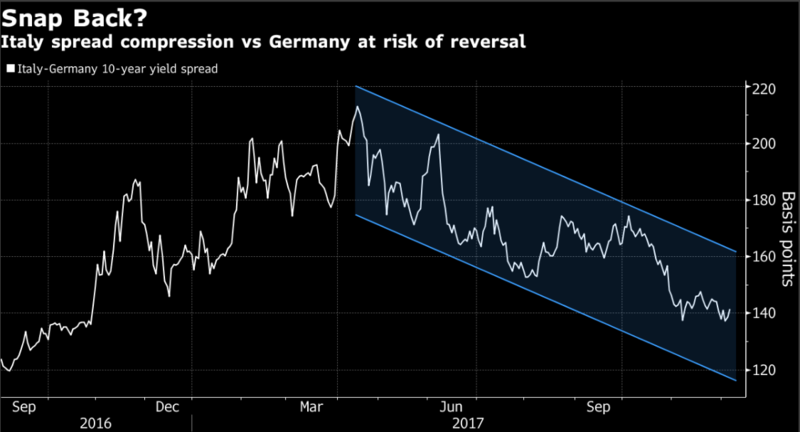 The pound and the euro, which analysts shunned at the end of 2016 predicting doomsday scenarios, are the very thing they are recommending for next year. As for bonds, well, good luck if you own them since they reckon yields will climb as major central banks begin to end monetary stimulus. Brexit still seems to throw up more questions than answers, but one thing most analysts seem to agree on is that the pound is likely to strengthen next year. That view is mostly pegged to the conviction that the U.K. will achieve a transitional arrangement with the European Union before the country leaves the bloc in March 2019. Bank of America Merrill Lynch’s preferred trade is to buy sterling versus an “overvalued” Swiss franc while ING Groep NV sees the British currency reaching $1.40 next year, a call an increasing number of strategists are shifting toward, and then rising further toward $1.50 by end-2018. The pound was little changed at $1.3397 as of 11:00 a.m. in London. The currency has strengthened almost 9 percent this year after losing 16 percent of its value in 2016 after the U.K. voted to leave the EU. The euro is the best Group-of-10 performer of 2017, confounding many who had predicted that this year’s events could presage the common currency’s demise. Goldman Sachs Group Inc., Morgan Stanley, Societe Generale SA and ING still remain bullish as the European Central Bank unwinds stimulus and the continent’s growth outlook continues to improve. The euro fell 0.1 percent to $1.1779; it has rallied 12 percent this year. Societe Generale sees the common currency benefiting from a potential increase in bund yields next year, while Morgan Stanley expects it to strengthen versus the Swiss franc. With this year’s French and Dutch elections passing without political upsets, the risk is that investors may grow complacent about region’s next political worry: Italy. The country has elections due before May, with the anti-establishment Five Star Movement currently leading in some polls. Credit Agricole SA, Citigroup Inc. and JPMorgan Chase & Co. are recommending bearish positions in Italian bonds into the new year. For almost all banks, 2018 is the year that will see bond yields move higher. French debt will likely face supply headwinds, while the removal of ECB purchases will begin to weigh on German bunds. JPMorgan recommends outright short positions in the 10- and 30-year tenors on Europe’s safest securities. Credit Suisse sees bunds as one of the biggest losers with 10-year yields rising to 1 percent from 0.29 percent, while Morgan Stanley and Credit Agricole recommend selling German debt versus U.S. Treasuries. With a potential reentry into various key bond indexes in January, Portugal is the exception that proves the rule. The bullish outlook depends on an upgrade to investment grade by Fitch Ratings later this month, marking the second of the big three ratings agencies to do so. 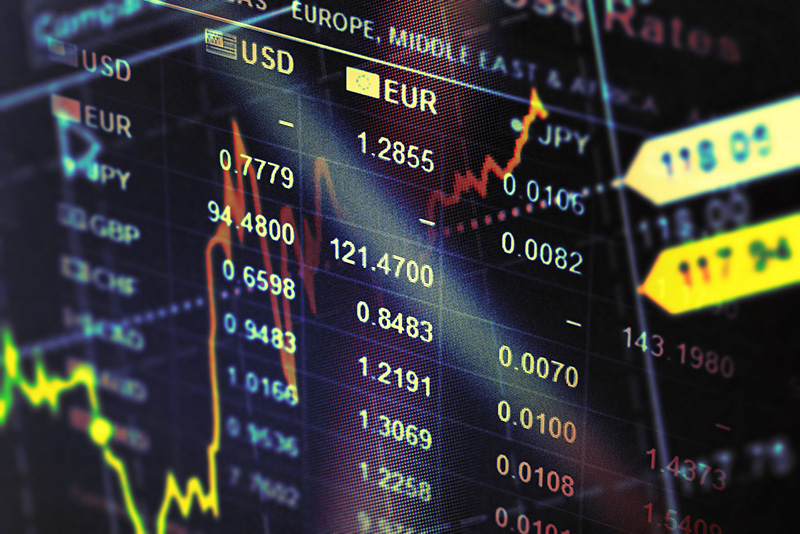 Rabobank International, JPMorgan, and Credit Agricole remain bullish even after the country’s bonds notched up their eighth consecutive monthly gain in November.